The World Bowling Championship is the most prestigious event in tenpin bowling. It is held over two years, first for men and then for women the following year. In 2014 and 2015, the biggest bowling championships will be coming to Abu Dhabi and will be played in the Khalifa International Bowling Centre at Zayed Sports City. 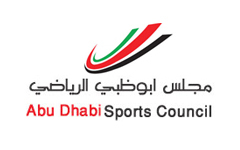 In 1999, Abu Dhabi first hosted the event with the 14th FIQ World Bowling Championship being played in the 40-lane Khalifa International Bowling Centre in Zayed Sports City. The event’s participants were the first to walk through the doors of the brand new, purpose-built facility. For the upcoming championships, over 300 participants from 45 delegations are expected to descend upon the bowling centre each year, adding to the facility’s incredible history. These events will also be the first time the tournament has ever returned to a venue. As a popular destination for world sports events in the Middle East, Abu Dhabi has yet another feather in its cap with these world bowling championships in addition to its existing sports attractions such as the Formula 1 race every year at the Yas Marina Circuit, which is considered to be the richest F1 race track in the world, the Mubadala World Tennis Championship at the Zayed Sports City and the ISAF Sailing World Cup Final among other world-class events in its sports calendar. Visitors to this resplendent city can experience the grandeur of Abu Dhabi’s major attractions and iconic landmarks: the Sheikh Zayed Grand Mosque, Ferrari World, Yas Waterworld, Yas Marina Circuit, the luxurious Emirates Palace Hotel, numerous shopping malls, and cultural attractions among others. Abu Dhabi is where modern luxury meets rich heritage and tradition. Come December 2014, the World Men’s Championship will showcase bowling at its best!